since then, i couldn't get enough of them... i kept telling my friends how much i love fresh figs. i get excited every time i find them at the grocery store. fig obsessed would be best way to describe the situation. all the better because of the great health benefits these babies had to offer.. i am a bit sad that they are almost out of season... eek! surprisingly, the latest food network magazine featured a recipe that uses these delicious fruits which inspired me to make my rendition of figgy toasts.. it was rather simple and required the aseembly of just a few ingredients that also included bread, goat cheese, honey and pistachios. ciabatta was my choice of bread and sliced but i decided not to toast them in the oven. instead, i roasted the halved black mission figs tossed in olive oil (btw, i prefer black mission figs over the green counterparts) in a preheated 400F oven for about 10 minutes to soften it up. in retrospect, i think i should have sliced them instead of just halving them - so it would be easier to lay them on the ciabatta slices. while the roasting happens, i added some honey into goat cheese and incorporated both the ingredients to make a smooth spread. i slathered one side of the toast generously which is then topped with the warm roasted figs and some chopped pistachio that i roasted a bit in the oven to bring out the flavors of the nut. finally, just a small drizzle of honey as a finishing touch. verdict i liked it but i thought something was missing. it was sweet and loved the fig flavors with the goat cheese which was slightly savory and creamy. should have bought the roasted pistachio with the shell on (i was lazy that day!) which could have gave that extra nuttiness and saltiness to round up the flavors. weird thing was, i made extra and put some in the fridge and it tasted better the next day! maybe cos the flavors had a chance to blend together better. and i kinda liked it slightly chilled. since i had some extra roasted figs and goat cheese with honey blend, i bought some extra potato bread, arugula, thick slices of spanish chorizo to make it into a delicious sandwich. it was really good with an extra drizzle of balsamic vinegar so you get the mix of peppery, savory flavorfulness from the chorizo, creamy and sweet. yummy! preheat the oven to 400 F. toss the halved fresh figs in olive oil and some salt. while the figs roasts in the oven for 30 minutes to soften, incorporate the goat cheese and the honey together to get a smooth spread. spread the goat cheese mix generously on one side of the toast. place two fig halves on the toast. top it with chopped roasted pistachios and drizzle some honey as a finishing touch. it is ready to serve. 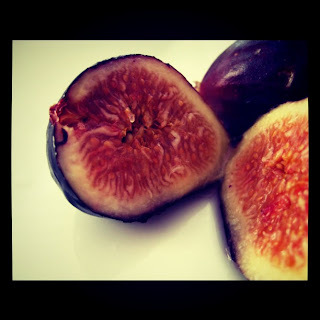 note || it may be hard to find fresh figs in the store so it is possible to substitute with dried figs but since it is much sweeter, leave out the honey in the recipe. davanti enoteca has been receiving rave reviews after rave reviews since it opened its doors. and hence it had joined my wishlist since last year.. however, i had to cancel my plans to go there, not once but twice. until finally, i had the pleasure of trying davanti's delicious flavors about a month ago. located in little italy, davanti enoteca is a cozy rustic yet modern restaurant with strong italian influence in its decor. there is a bar on the left as you walk into the restaurant and then you could see the chefs at work at the open kitchen which i thought was very exciting. some of the italian touches that i thought were cool were the wall covered in wooden slats from wine cases and instead of using a pizza stand, they substitue with big san marzano tomato cans. the back dining room is adorned by shelves of wine bottles. there are also outdoor and rooftop seating which you could request for (when the weather isn't crazy cold). xy and i decided to share two appetizers and had an entree each..
xy had never had truffle before so this was an interesting first experience for him. i love the flavor of truffle but i thought it was somewhat too strong. i love the mild fontina melted beautifully topped which accentuated the richness of runny yolks nestled in a nest in the middle of a thickly cut toast. the toast was placed upon a bed of roasted asparagus that helped mellow the richness of it. xy really liked it while i wished there was some kind of citrus/balsamic to cut through the richness. but we still finished every last bite on the plate. my first experience with sea urchin... at least as far as i am aware of. this was the main reason why i wanted to come here. if you love seafood, i think you would enjoy this. it was a generous amount of crab which contributes its natural sweetness in contrast to the ocean flavor/saltiness of the sea urchin sauce that clings lovingly to the linguine. it didn't disappoint in terms of flavors but just a tad oily. the pasta was cooked just right with just a good amount of bite. delish! i hate to admit it but this dish probably stole the show that day because i didn't order it (xy's entree) . they brought out a board and two sauce pans - one with the polenta and the other containing ragu to be served at the table. the pork shoulder was melt-in-your-mouth tender which was braised in a stew that had several layers of flavor from the sweet and tart san marzano tomatoes blended with the earthiness of porcini mushrooms. very hearty with a good balance of seasoning. then they paired it with creamy mascarpone polenta which made the dish amazing. i'd go as far to say that this is one of the best things i've ever had. not to be missed! i loved my dish but i was secretly wishing i had ordered this for myself. outstanding! i've heard from my friends that california is the home to some of the best mexican food in the united states. and we were spoilt for choice, even in folsom but we managed to narrow it down to el pueblo cocina mexicana which was quite new in town (back in july..yes i know, this entry is way overdue) but has already a few rave reviews on yelp. the decor of the restaurant centered around mexican culture with colorful murals and the lively music playing in the background added to the ambiance. they started us out with complimentary chips and salsa (which they allow for free refills by the way) so we could get as much as we want till our hearts' content. ryan, his brother and i decided to share three dishes among the three of us while their mom ordered nachos. when this dish came, it was a huge plate of food. there was a generous amount of melted cheese and the same flavorful shredded pork (ryan's mom ordered carnitas) atop the crispy tortilla. she seems to enjoy it immensely but quickly realized it was very filling. the tortilla chips were great vehicle for the other ingredients. the crunchy of the chips, with the tender carnitas, melty cheese, the butteriness of the beans and the tartness of the sour cream to balance all the ingredients. i would have to say this was the best dish of all the three we shared. the flavorful combination of the spicy chorizo and the sweetness of the fresh shrimp which was glued together between the toasty tortilla by the creamy and melty cheese was just perfect. what made it even better was the combination with the toppings of guacamole, salsa and the sour cream that added tartness to balance out the richness of the dish. it was definitely top pick of the night and our yummy favorite. this mimicks the traditional chilli relleno but instead it is stuffed with shrimp and topped with sour cream. the natural sweetness from the generous amount of shrimp in the paquillo peppers flavors the dish. on the side, the cheese enchilada was oozing with melted cheese and just looked so very tempting to take huge bite of it. great layers of flavors all around but slightly too rich after a few bites. it was definitely a filling dish. the tender shredded pork had good amount of seasonings on it with their secret blend of spices and went incredibly well with the spanish rice. while it was delicious, i wished there were slightly more condiments on the side (which i assumed we could probably ask for) but still a very tasty dish. yum! after our meal, ryan and i concurred that sharing two dishes between the three of us would have been a good amount of food cos we were so stuffed after dinner. el pueblo has made its mark for me as one of my favorite mexican food places. we thought that the friendly staff was endearing. one pet peeve though was the wait time for food although there weren't many customers that evening but it was well worth the wait. 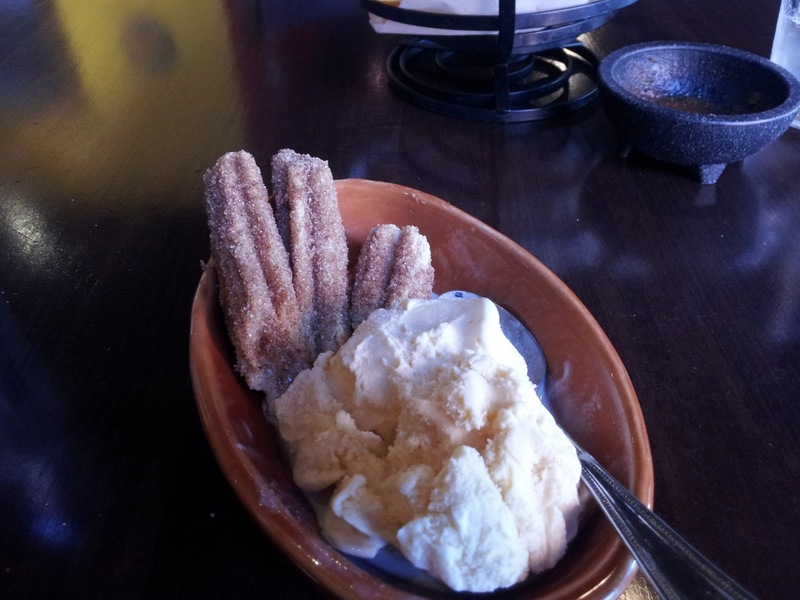 solidly executed authentic mexican food with great flavors and i certainly hope this restaurant is here to stay. food trucks have been steadily increasing in popularity in the past few years. there is even a show on food network called the great food truck race to see which food trucks can outsell each other. i mean what is there not to like? 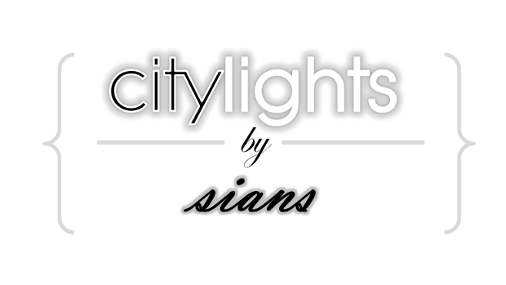 the food is delicious (mostly) and conveniently "delivered" to you, so to speak as long as they are in your neighborhood. meatyballs mobile first caught my attention with its name - then it proved itself with the sandwiches it dishes out. so chicago has this ordinance where food trucks are not allowed to prepare/cook food in trucks so everything is already cooked and packaged before they sell it. 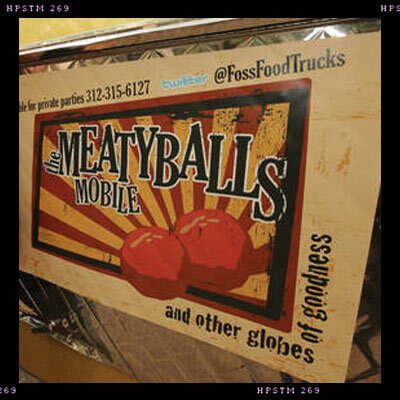 the mastermind behind meatyballs mobile is philip foss, the former lockwood's excutive chef. 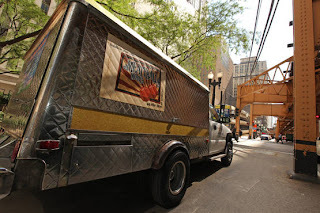 they started out with one truck and has since expanded to three to spread their meatball love around chicago due to the popularity high demand for these various renditions of meatball sandwiches. meatyballs mobile has been awarded the trendsetter of the year by tribune dining awards and named chicago's best ball by chicago best wgn. the first time i purchased their meatball sandwiches, they only offered torpedos ($7-9) which are the standard size subs. but they've added the grenade ($3) to their menu - sliders with a meatball. essentially, the guy said that three grenades makes up a torpedo. i decided on grenades just cos that would give me a chance to try out their different menu items. original meatyballs | beef . pork . four cheese sauce . truffle oil . i wanted to try their namesake which is pretty mild in flavor. more of a purist cos you can taste the natural flavors of the meat at its best. the meatball itself is moist and seasoned well. the cheese sauce could use a little more cheese to thicken it and best way to get its meltiness is to heat it up for a couple of seconds in the microwave. the truffle oil was a mere whisper and made me looking for more. it is a lil messy to eat that it required either a fork and knife or a lot of napkins. all these sandwiched in between two soft buns (which by the way is made fresh by keri foss) to soak up all the sauces. shweddy balls | tunisian-style lamb and chicken balls . very spicy tomato sauce . the first thing i noticed was the red flakes around the rim of the slider. then a cut in the middle revealed a meatball with plenty of ingredients. spicy it was but a good one that doesn't linger on the mouth. the first bite, i couldn't really taste the meat and immediately the spicy kicks in with an herbaceous note. maybe the herbs and spices overpowered the natural flavor of the meat but the flavors were reminiscent of something that my mom makes which i really like. it was a tad dry compared to its first counterpart but totally love the sear of the meatball. my verdict: it's okay. bbq balls | pulled pork shoulder . red cabbage . apples . cola - bourbon bbq sauce . my first encounter with meatyballs sandwich involved this bbq balls sandwich - torpedo size. i liked it so much (although slightly oversauced) that i wanted to get it for a second time. i am glad to say that the pulled pork was moist and just enough of the bbq sauce. the sweetness paired well with the pulled pork which i was surprised was not overpowered by the bbq sauce. i did wish there was more of the cabbage slaw though. the pulled pork balls are really great on its own too! probably my favorite of them all. i've always had a hard time resisting truffle and potato chips. i've bought this several times with or without the sandwiches. one thing i notice is the inconsistency in terms of amount of truffle flavor in the chips. this time, the truffle flavor was a tad faint almost like a tease but loved that they were crispy and earthy at the same time.. yum!